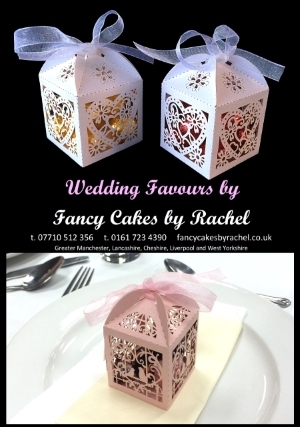 We now make cake pops, have a look at the wedding favour gallery to see some of our designs. All of our cookies are baked fresh to order and we only use the best ingredients. Cookies are decorated with fondant icing and the colours of the individual designs can be adapted to your party or wedding colours. Just let us know when ordering them. Please take a look at our cookie photo gallery to see some of our designs. Our cookies are perfect as wedding favours and can be used as place cards if you request your guests names on them when ordering. Cookies come in boxes of 12 or individually wrapped in cellophane and tied with a coloured ribbon. For cookies with names on add £1.00 per cookie.